﻿The venue known as Jaxs Raceway was a motorsport complex that was made up of 4 different tracks over it life, first opened on the 9th of June 1968, with a quarter mile paved track only. The venue was also know as Pecan Park. the entire venue closed in 2004. The 1/4 mile paved oval track opened on the 9th of June 1968, The track operated successfully through until 1972 when it was closed to make way for a 1/2 mile dirt oval track. When opened in 1973 this 1/2 mile dirt oval soon became a major draw to the venue, When the track was built soil from from the old Westside track was used, After decades of use the property was soaked with all manner of oil and fuel. After closing in 2004 developers bought the property with intensions of building homes, The EPA killed that plan and any immediate future plans for the site due to the soil contamination. 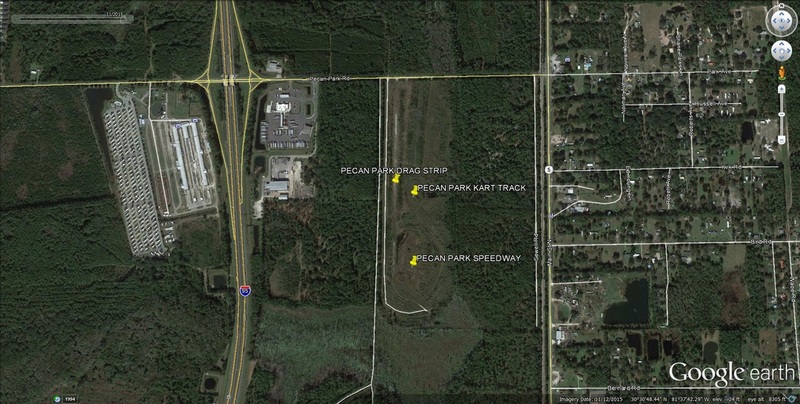 A dirt Kart track was also built at the venue along with a mud bog course, The venue closed in 2004 and was torn down.